This Is Planting Season? Really? 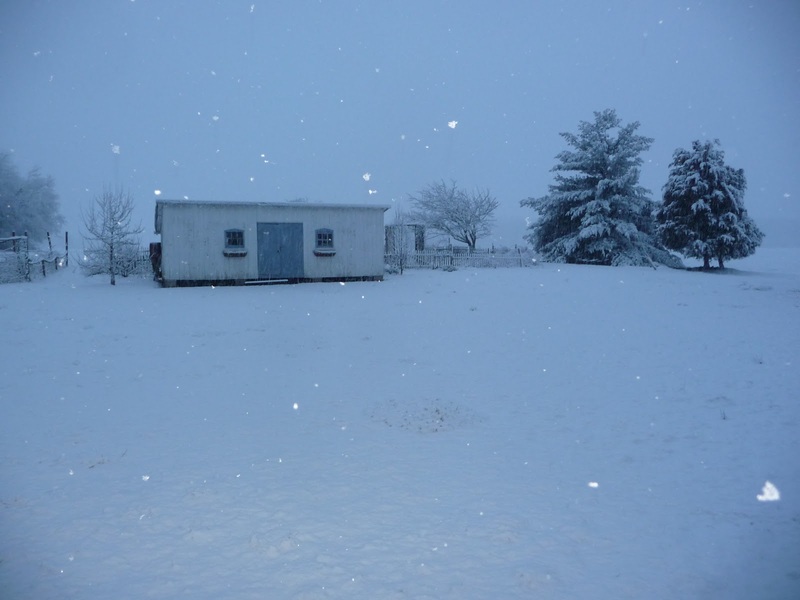 Woke up this morning – the fifth day of official calendar spring, mind – to snow. I’ve got baby leeks in the garden already, peeking out from beneath a light blanket of compost followed by straw and then blanketed (I sure hope) by row cover. And now snow. 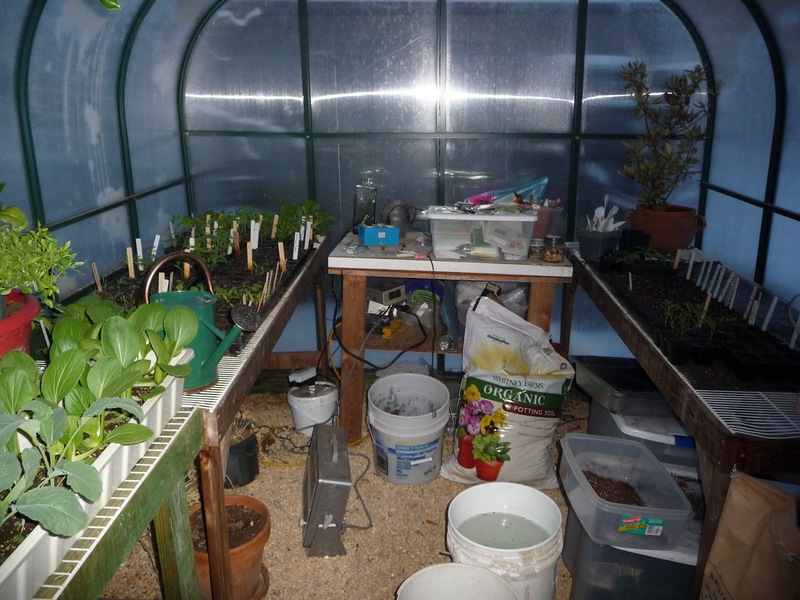 I’ve got baby pak choi in the greenhouse that is almost ready to eat – part of this season’s experiment in potted edibles –as well as pak choi, lettuce and kale seedlings that are in desperate need of a garden bed and some sunshine and a little seasonal warmth. (Like me). And now this. I took photos this morning AFTER what should have been dawn at 9AM and it all looked grim, grey and impossibly icky. The greenhouse at 9am. Sunrise? Not so much! I’m reminded of a line in Shelley’s Ode to the West Wind (I had to look the name of the poem up, I only remember the last line): If Winter comes, can Spring be far behind? From your mouth, Percy, to God’s or Nature’s or fill-in-your-term-for-something-larger-and-more-overarching-than-our-individual-little-selves, Ear! Wow! Unbelievable amount of snow. Hopefully it starts to get warmer and you garden does better. Look forward to more. 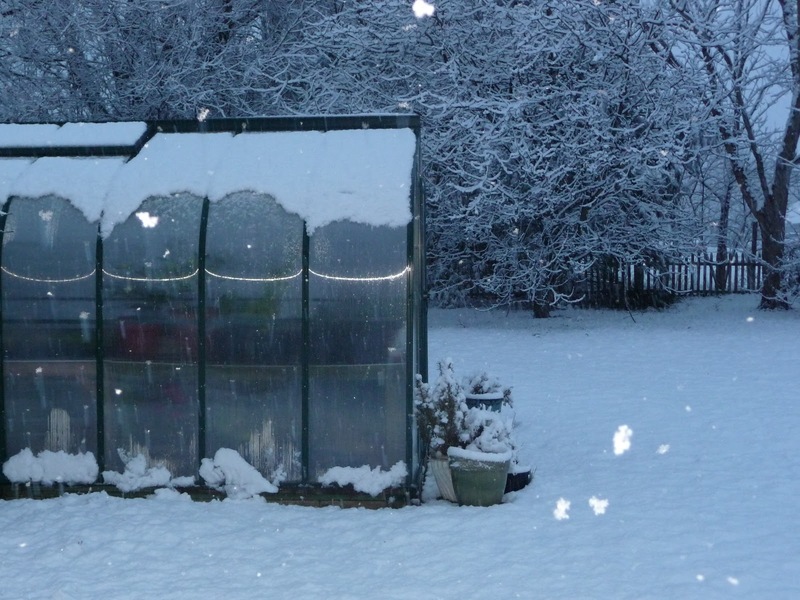 Despite the fact that we all have flats of broccoli, kale, cauliflower, pak choi, lettuce and Swiss chard to go into the ground, you have to admit that the snow yesterday was beautiful. Since the garden is going to be wet and unplantable for a couple of days, I think I'll head for the Tidal Basin later this week to see the Cherry Blossoms. Maybe I am nuts, but I actually planted my potatoes, lettuce, and radishes BECAUSE it was going to snow! I look at snow as an insulating blanket from the cold air temps and a handy drip irrigation system as it melts! But, yes, I am winter weary as well. My dad always called this spring snow an onion snow. My broccoli, chinese cabbages, onions, peas and a few other things are in the ground. The snow didn't seem to bother them. Ours wasn't quite the pretty blanket yours was, it was half slush and rain anyway so didn't even last the day. Like you, though, I am yearning for the sun on my shoulders! So how are the things you guys all planted before snow doing? My poor leeks are not happy campers at all, despite the milch and the row cover blanket. I've been hardening off my slightly root-bound flats of pak choi, lettuce, arugula, and kale and hope to put them in this weekend. It's not just me who's been holding back here on the upper Eastern Shore. Theresa Mycek, Colchester CSA's manager and master-grower has put off putting anything in the ground too, though I think this weekend will be a big push to get things out of the too-small greenhouse and into the field. I love the notion of 'onion snow' — those old traditional gardener's and farmer's guidelines so often hold true. I don't put peas into until the lilac buds really begin to swell here, though the flowering quince (Chaenomeles) is just starting to open and that can be a guide too — gardening as art and science.